::Artrageously Unique & Exotic ::: Stonebay featured on Junk Magazine (May Issue) ! 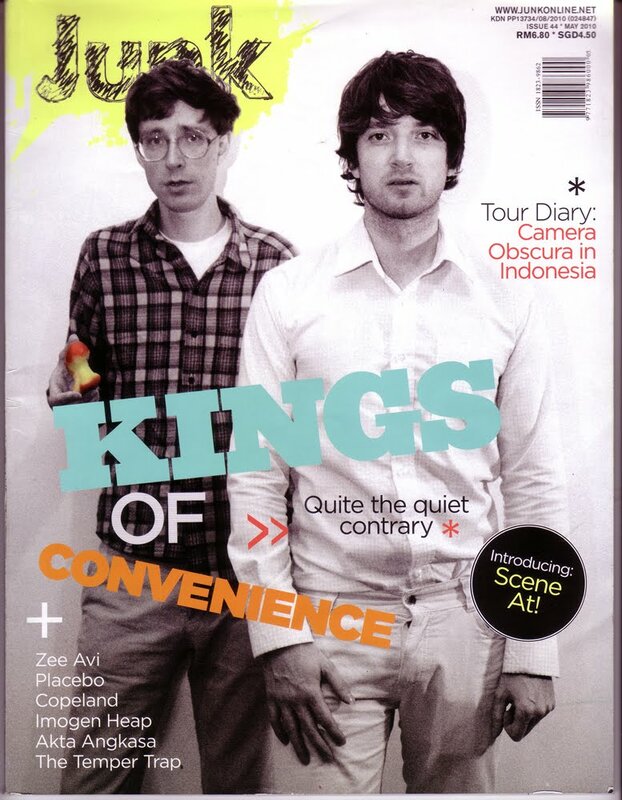 Stonebay featured on Junk Magazine (May Issue) ! Dad got me my favourite Junk magazine, the May issue from KL. 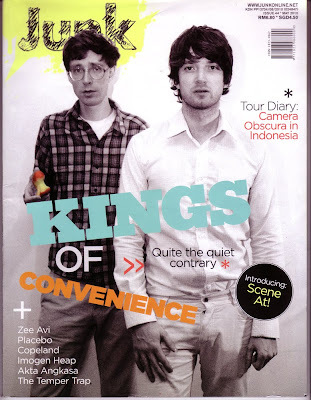 Kings of Convenience on the cover and as usual awesome and great articles of music & entertainment updates around the Asian region. 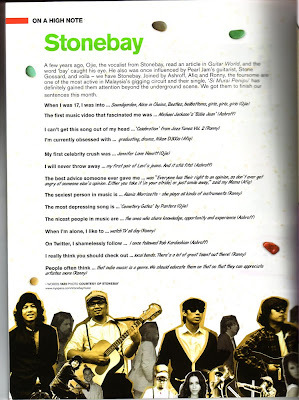 Just wanna share that our local Malaysian band, Stonebay is featured!